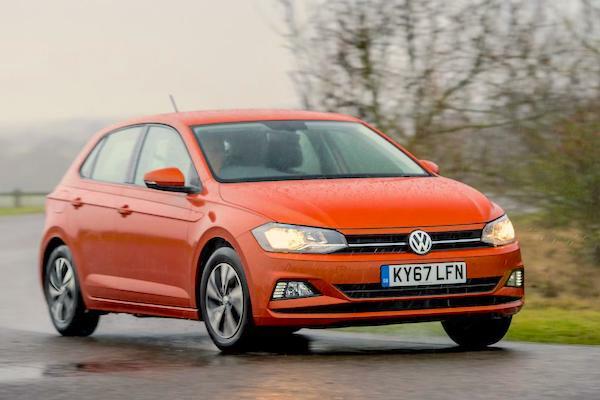 The Polo soars 33%, helping Volkswagen recapture the #1 brand spot in November. 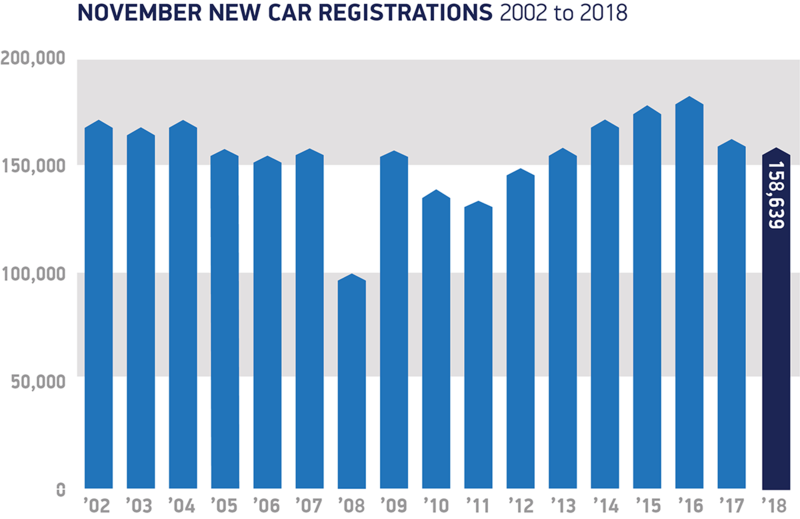 It’s another contained drop for new car sales in the UK in November at -3% year-on-year to 158.639 units, the lowest result for the month since 2013 (157.314) leading to a year-to-date tally down 6.9% to 2.223.058, the lowest since the 2.137.910 in 2014. This month fleet sales prevent the market from falling further down at -0.7% to 84.431 units and 53.2% share vs. 52% in November 2017. Business sales gain 8.6% but remain very limited at 4.853 units and 3.1% share. Private sales are the main November culprit at -6.4% to 69.355 and 43.7% share vs. 45.3% a year ago. Year-to-date, this time private sales fare better – but just – at -6.5% to 997.663 and 44.9%, fleet sales drop 7.3% to 1.138.976 and 51.2% share and business deliveries are down 6.3% to 86.419. Diesel sales (-16.7%) continue their freefall at 51.429 units and 32.4% share vs. 37.8% a year ago, while petrol sales edge up a timid 3.5% to 96.441 and 60.8% share vs. 57%, Alternative Fuel Vehicles gan 6.7% to 10.769. Year-to-date, diesel is down 29.8% to 707.702 and 31.8% share vs. 42.2% while petrol gains 8.8% to 1.382.981 and 62.2% share vs. 53.2%. Now fully recovered from WLTP disruption, Volkswagen (+13%) manage to snap the brands pole position for the 4th time in the past 6 months (and ever) at 9.9% share, outselling traditional leader Ford (-19%) at 9.2%. BMW (+0.3%) and Vauxhall (+12%) drive past Mercedes (-6%) while Skoda (+21%) and Kia (+16%) post the largest gains in the Top 10, all the while Audi (-43%) remains in hell. Below, MG (+95%), Mitsubishi (+64%), Dacia (+53%), Volvo (+45%), Seat (+36%), Jeep (+35%), Fiat (+32%), Mazda (+21%), Renault (+18%) and Aston Martin (+15%) stand out. There are some heavy falls too, among them DS (-81%), Infiniti (-81%), Porsche (-77%), McLaren (-56%), Maserati (-44%), Alfa Romeo (-36%), Subaru (-33%), Nissan (-27%) and Hyundai (-26%). 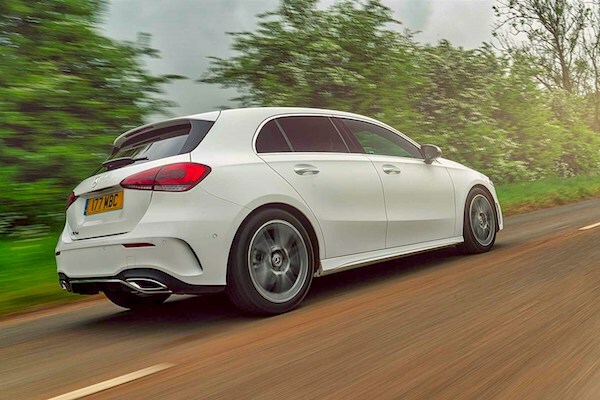 The Mercedes A-Class ranks at a record third place for the third time in a row. Model-wise, the Ford Fiesta (-19%) and VW Golf (-20%) stay on top despite posting dreadful falls, just as the Mercedes A-Class (+34%) stuns once again with a third consecutive month at a record third place, a level it had never reached before, as a result it steps up one spot YTD to #8. The Nissan Qashqai (-10%) is still weak but slowly returns to normal at #4 above the Mini (-27%) while the VW Polo (+33%) is up four spots on October with its new generation boosting sales and the Vauxhall Mokka X leaps back into the Top 10 for the first time since last April at #8. Full November 2018 Top 43 brands and Top 10 models below.